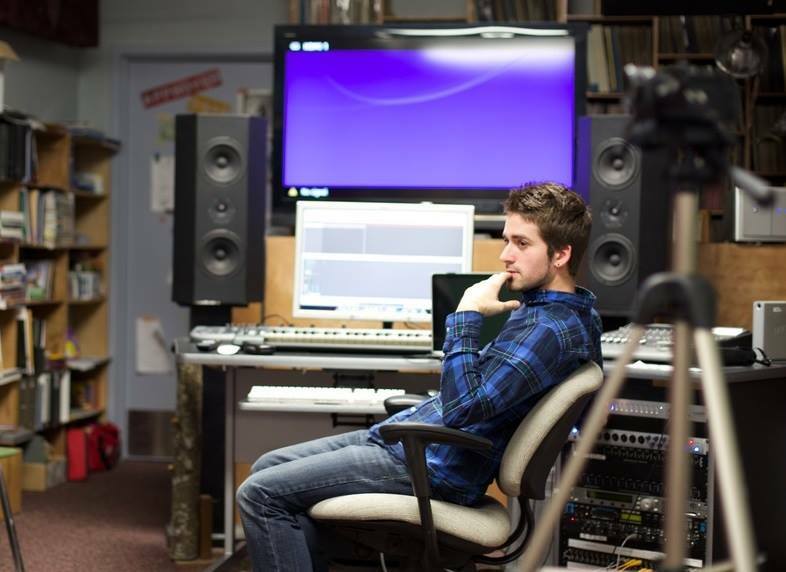 This is a guest interview submission with Steven Green, a sound designer based in the Bay-Area. It was conducted by Los Angeles sound designer Colin Andrew Grant. Since graduating from Michigan Technical University in 2014, Steven Green has been kept busy with a steady stream of work. Despite the fact that he still considers himself a novice in the world of game audio, he’s worked in the audio department for games such as Abzû, What Remains of Edith Finch, and Full Throttle: Remastered. 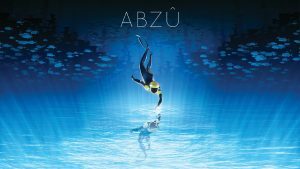 Colin Andrew Grant: Can you tell me about how you first began working in game audio and your experience before you began on Abzû? Steven Green: Well, I guess my way was a bit unconventional. I did the Cube demo and Limbo demo in Wwise and did a few small things in school, but I really just dove headfirst into working with Giant Squid. I was actually looking for anything at the time, including internships, since it was the last year of school for me. I flew out from Michigan to California in November for an interview. I guess they liked me, because after I graduated in December I began to work for Giant Squid. CAG: So there was quite a bit of learning on the job? Was there any sort of mentor you had to look towards for guidance? SG: Haha! A bit is putting it a bit lightly! For all intents and purposes this was really my first job in video games, so there were a lot of nights just looking up how to not break anything. For better or for worse, I never really had a mentor when I started out. However, I’m really lucky to have had met Cosmo Fumo, who was a programmer on the game. He taught me so much when it came to the programming side of things, which was incredibly important with implementation. One of those lessons is that you can kind of cheat a bit. We didn’t really have the full footstep system we wanted due to time, but there were ways to program it to be pretty close. Austin Wintory also became someone I looked up to. He taught me a lot about how music worked in games. Later on Frieda Wolf was really open to my millions of questions about dialogue, and Camden Stoddard was kind of the same for sound design. CAG: Speaking of breaking the game, were there any hard lessons you learned on the job? SG: Oh yeah, definitely. One time we were preparing the game for a magazine to review, and right before we had to turn it in we got some new assets. We really wanted to give the magazine the best version we could, so we rushed to get these assets in. It broke the system and the game they received was practically silent. It’s tempting to try to rush to add new features, but you’re never going get everything you want in the game so it’s better to err on the side of caution sometimes. CAG: So since then you’ve held many different roles for a diverse set of projects. You’ve had this experience of having your hand in many different pots, and one fear that people starting out have is being freelance versus working at a company. Can you expand on what you’ve specifically done and whether you prefer being freelance or working as an employee for a company? SG: So to sum it up, when I started at Giant Squid I was just credited as a sound designer but I handled a good amount of implementation for both music and sound. I then went to Giant Sparrow and I was credited as the lead sound designer but I also handled music placement, so I chose what music played where, why, and how. I also ran dialogue and was in charge of two amazing sound designers. Since then I’ve done contract work: Some required me to go into an office, and others that I’ve done from home. There’s really pro’s and con’s to both. Full time you don’t get the same flexibility during the day, but there are perks. You know what your schedule is, you see the same people everyday, it allows for some really easy collaborative efforts, and general benefits don’t hurt either. The downside is that you kind of lack some freedom. You’re pretty locked into what they are doing. With contract you lose the typical things a full time job would give you, but you gain the autonomy to play with your cats while you work, like what I’m doing right now. It also opens up more variety in the work you’re doing. I enjoy the contract lifestyle more, I’m not going to lie. I feel less stressed and it allows me to do some really weird stuff. When I was in college I swore to myself I would not do freelance. I came from two working class parents and I was terrified of being S.O.L after the end of a contract. That’s not the case though. People sought me out near the end of my first project, so the work kind of builds upon itself the more you do it. CAG: Any interesting examples of that? SG: Yeah. The artist Ian Chang’s team, who had played Abzû and liked some of the weird stuff that I did in it, reached out to me. I later found out it was for MOMA (Museum of Modern Art). We ended up using FMOD and Unity. It was really interesting to work on Emissary. CAG: We’ve talked before about how collaborative games really are, and how that really impacts how you approach audio. SG: Learning how to interact with people of other disciplines is probably one of the best skills that you can have. I went to school studying sound design for theatre, which really helped me when I started working in games. Learning how to speak their lingo is good. Learn how to speak programmer and learn how to speak artist. I don’t call myself a programmer at all, but I can read code and understand the basics and it has made me a better sound designer. CAG: You’ve worked on Full Throttle Remastered. That kind of release doesn’t happen too often. How was that process? It’s not like you’re coming in fresh on a new IP with your own vision, or on a sequel where you’re building from existing aesthetics but adding on. You’re coming in with a lot of people having very specific expectations of what it’s supposed to be. SG: Oh yeah, Full Throttle was fun. It was interesting because there was a lot of missing things. I handled sound design recreation and some dialogue clean up. I had a list of about 600 sound effects and they were all in a super-low bit rate and compressed to 1995 standards. We didn’t have many high quality effects so we had to do a lot of creative equalization to bring out the better parts and hide the hums and fuzz. Sometimes we would find similar sounds that were pretty damn close and blended them in for flavor. Like for example, motorcycles todays don’t really sound like they used to. I did however find a corvette that had a similar sounding engine. It was rough, because there are a lot of die-hard fans that really knew what things should sound like. It was hard recreating but easy knowing what I was going for without needing a lot of feedback. CAG: So turning to Edith Finch, quite a bit of the response to the game is how sound design really affected the emotional aspects of the game. The sound was really integral to making the different characters unique and added to the games emotional weight. SG: Man, that game was so bittersweet for me. It’s insane. I worked on that game for maybe around 8 months. For the first six months I felt pretty removed emotionally. I was a contractor and was not on it for the first few years, so it wasn’t really my project in a sense. As I worked on it I got to learn the characters and settings, so my team and I were able to find the voice of the game the best that we could. I was going to get married that October and 6 months in my wife lost her father. He passed away in the last month of development so the game took on a different meaning in a huge way, so much so that there were a couple of levels that became really hard for me to work on. Suddenly the whole game changed. I think some of that feeling came out in the sound and it became more solemn. I hadn’t gone through the experience of what the game was trying to give its players until then. There’s a little nod to Kevin [The father] in the end credits. I remember that when the game came out I was happy to see it done and people enjoying it, but also a bit sad since I now associate that project with his death. The whole game is kind of spawned from the development team’s experience with loss. Right at the very top of the end credits it says, “In memory of Shirley Dallas”, the creative directors mother. CAG: Okay, so this is kind of cliché, but any advice for people just starting out? SG: So there’s probably two things I could say, one being really cliché the other coming from my personal experience. Don’t be afraid to reach out, because we’re all just people. I know when I met Matt Nava, Austin, and Russell Brower, I was terrified of them because they were people doing the things that I wanted to do. It was so far from the truth though. We are just people doing what we love to do. That’s really it. It’s not a matter of trying to impress, it’s just a matter of being polite. I think this would be my other advice. After you’re in the field, don’t have an ego. It makes it really hard to work with other people. The cliché part is, well, go for it! Just start doing it and teach yourself as much as you can.